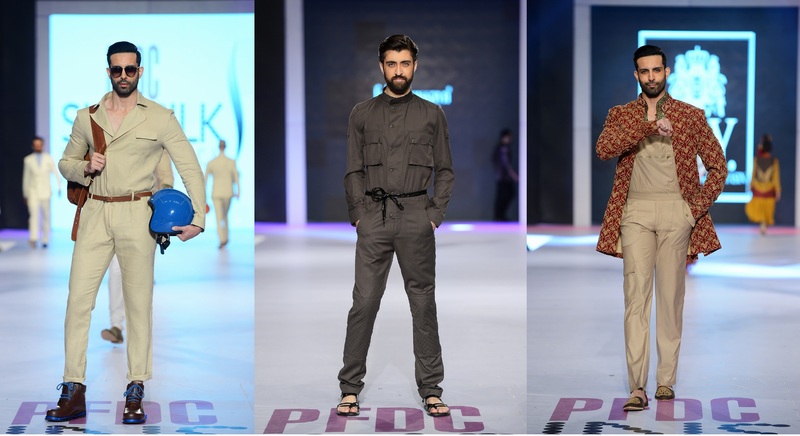 Menswear was at its full glory at the recently concluded PFDC Sunsilk Fashion Week and that is thanks to two brands, Bareeze Man and Republic by Omar Farooq. They set new benchmarks, presented fresh fashion and upped the style ante quite a few notches. Apart from the two, there were selective glimpses of menswear brilliance from other brands noticeably Sania Maskatiya and Arsalan Iqbal. 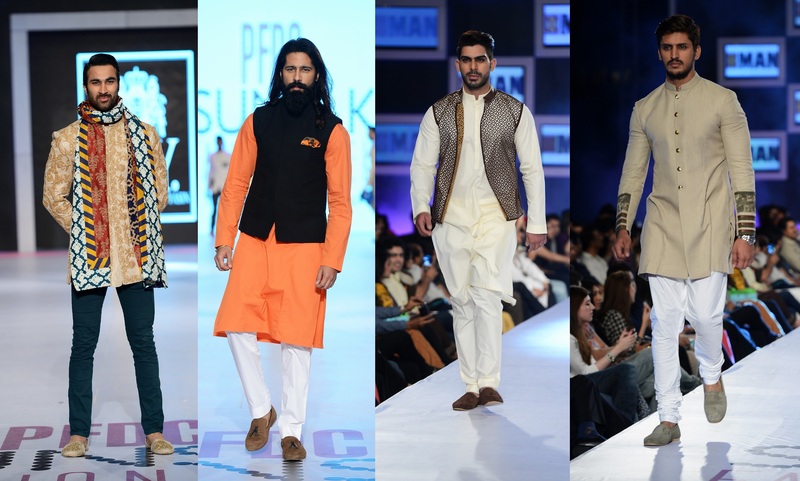 Here’s a look at some of the trends on the PFDC Sunsilk Fashion Week runway that stood out. While there were many looks that I loved, there’s always a few trends that you can borrow from the runway and apply them to your everyday dressing. 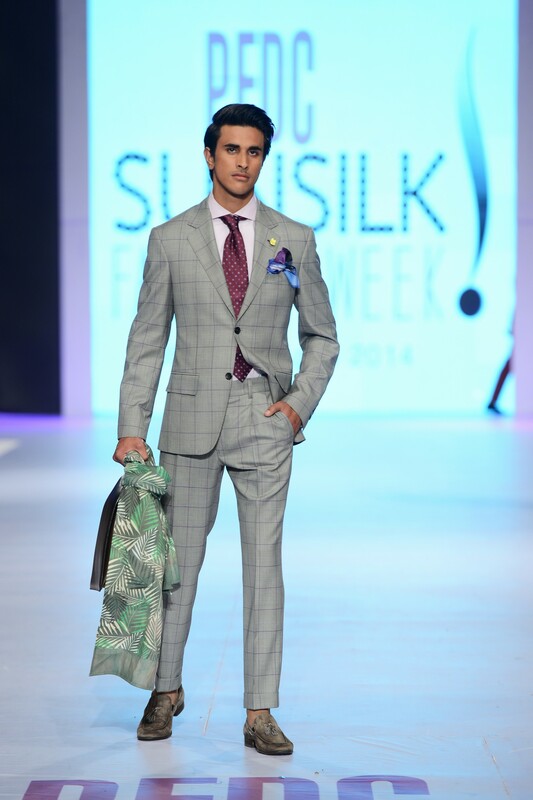 Here is a list of what I absolutely loved at PFDC Sunsilk Fashion Week, 2014. Making menswear interesting and lively is always a tricky. Play safe and you end up looking too boring, overload the apparel with print and it becomes too dandy so you always have to find middle ground. And Omar Farooq gave a very vivid description of how to achieve that middle ground. Splashes of camo print in form of an uplifting pocket square or a statement scarve tucked underneath the jacket of the suit; Omar taught how to dangle with prints without letting it overwhelm the entire look. Knee high boots with coloured laces to match the colour of the helmet were seen at the Bareeze Man show. It not only made for quite a visual treat but the idea of adding a splash of colour via shoe laces is very applicable in our everyday dressing. While the western wear was quite top notch, eastern wear pieces were equally impressive even though they were lesser in number. Heavily embroided sherwani style jackets at the HSY show were more wedding appropriate. Waistcoats at Bareeze Man were snappy that will go with pants just as well as they would go with a shalwar, kameez. For ages, I have been in love with the idea of a pant with knee patch. Saw this trend at the Ernest Alexander show during New York Fashion Week, 2014 and loved it. 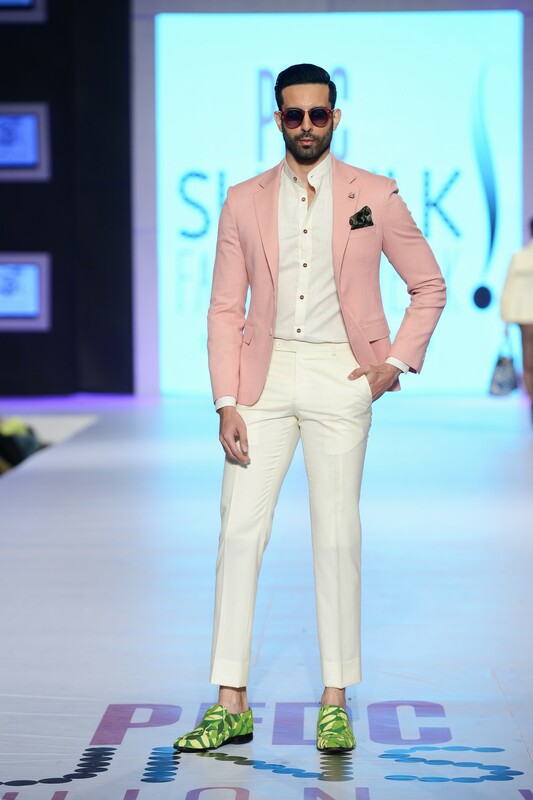 If I could name only one piece I would get from PFDC Sunsilk Fashion Week, it would be these pants. Sania Maskatiya loves playing with prints but for her menswear collection, she kept it very subtle. Through lining of a jacket, a folded hem or a collar; prints made controlled appearances, it was preppy yet wearable. Peshawari Chappals have been in the news lately due to ‘Paul Smith : Robert Sandal’ debacle. 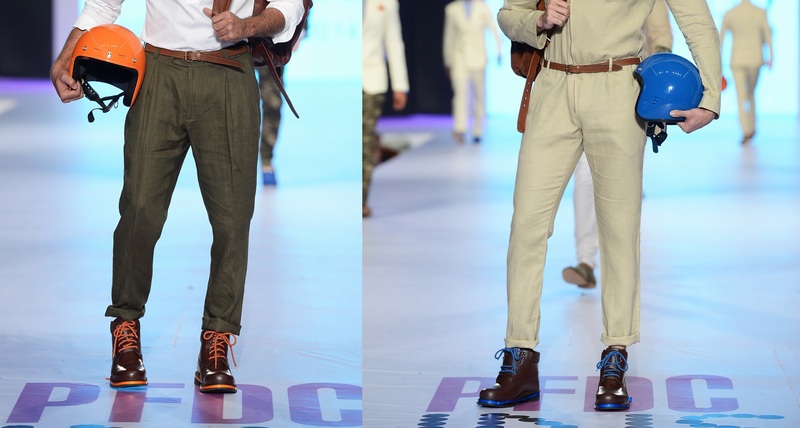 But at PFDC Fashion Week, Peshawari Chappals made news for all the right reasons. While black/brown Peshawari chappals can be sourced quite easily at a price of Rs. 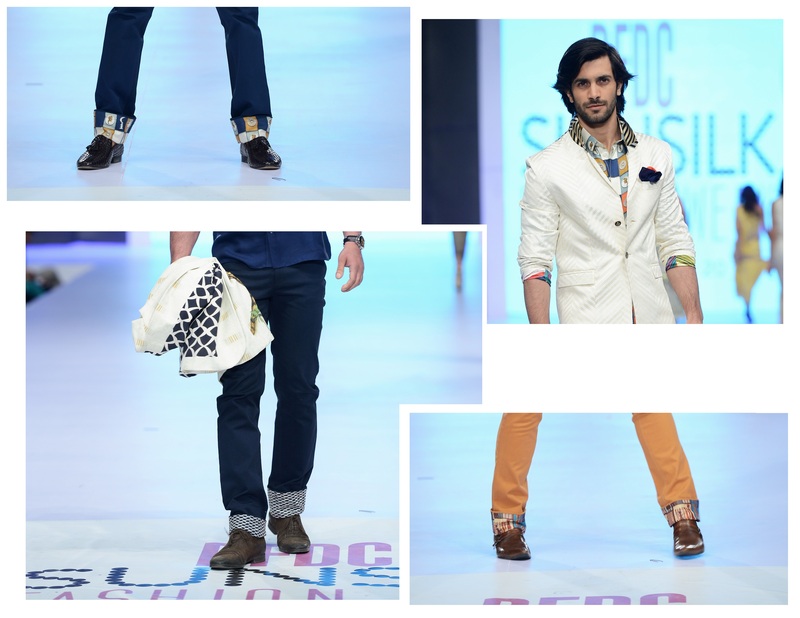 700 to 7000, it’s Arsalan Iqbal’s rendition of Peshawari Chappal that I am eyeing. 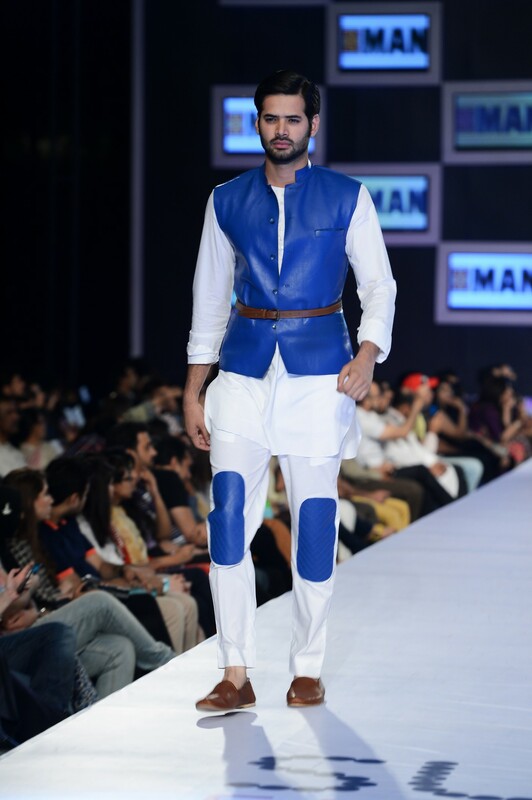 Arsalan Iqbal re did the Peshawari Chappal in a very interesting colour palette ranging from yellow to electric blue. These were some of the elements that I loved but here are 3 of my favourite looks from the PFDC Sunsilk Fashion Week, 2014. I love window pane check and this window pane check in purple is definitely one of the best I have ever seen. This suit has the quintessential Republic fit but what I like the most is how the plum coloured pattern matches the tie and the pocket square. Its super dapper and super suave. Electric blue sleeveless jacket, white pants with patches and the clinched waist, I just love this look from head to toe and its tailored perfectly specially the jacket. This to me is the ultimate formal look for the summers; white pants with a light coloured blazer, crisp dress shirt and comfortable loafers. You can replace the blazer and shoes with colours of your choice but the basic idea remains the same.